720 Park Avenue 13A, New York, NY 10021 | Sotheby's International Realty, Inc. Extremely rare and glamourous 12 room apartment perched high atop a most distinguished white-glove prewar cooperative. 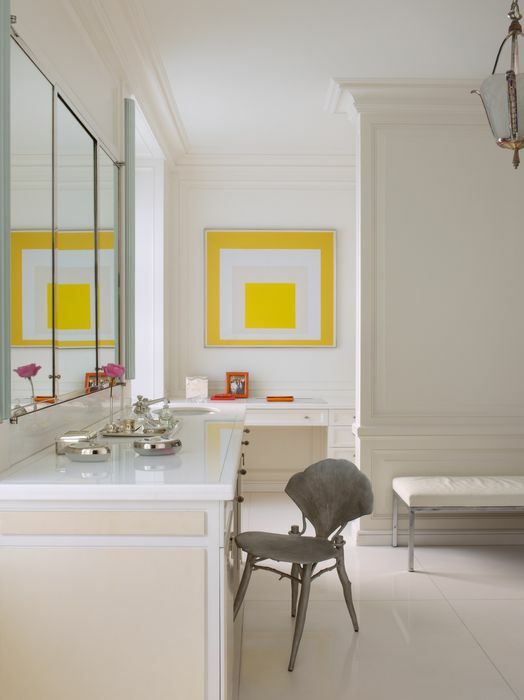 Impeccably appointed by the renowned design team of Aman Meeks, the residence was extensively featured in the firm’s recent coffee table tome, The New Formal. 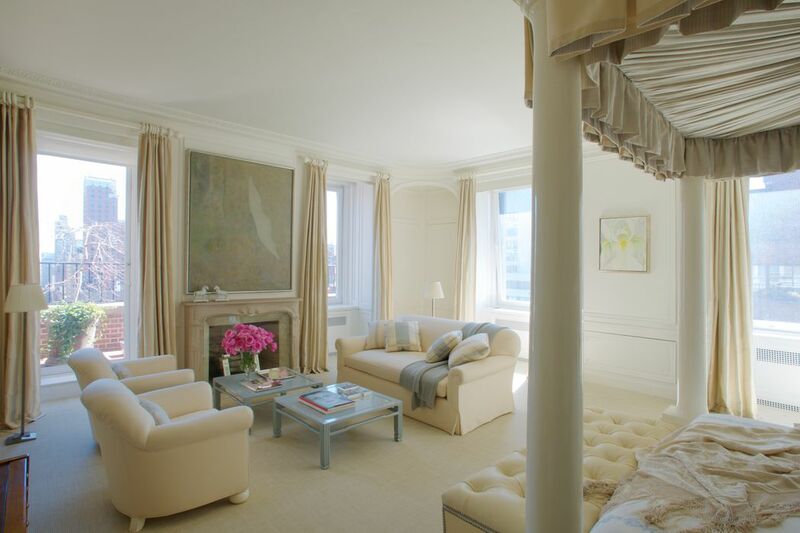 Distinguished by a 95 foot long planted terrace that charmingly meanders along the entire eastern flank of the apartment, the stunning aerie is most fortunate to have four rooms overlooking Park Avenue and to feature pretty, sunny and open views throughout. 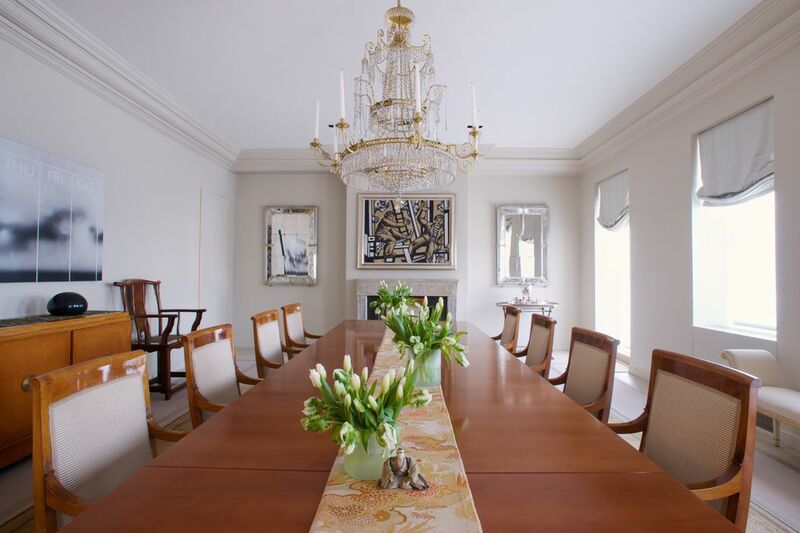 Boasting divine entertaining spaces that exude elegance and restrained grandeur, this exceptional apartment is a one of a kind, having been built to the exacting specifications of philanthropist, bibliophile, and Macy’s heir, Jesse Isidor Strauss. In particular, the fabulous corner Master Bedroom Suite with its massive marble bathroom and huge dressing room is the best of its kind, while the large and pristine Chef’s Kitchen, Pantry and Breakfast Room also conveniently allow for gracious and informal dining. Other notable features include a Living Room with the most lovely bay window, a grand Dining Room, a cozy Library and two perfect guest bedrooms with en-suite baths. There are also four wood burning fireplaces, French doors throughout, abundant southern exposures and lots of original moldings. Plus stunning examples of valuable and exceedingly beautiful period boiserie and accompanying marble fireplace surrounds. 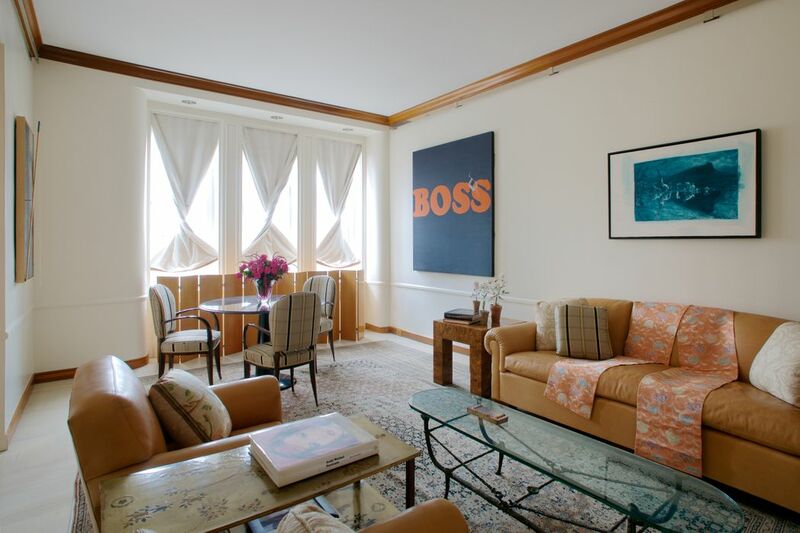 Designed by the great Rosario Candela in the golden era of apartment house building, this sophisticated and chic residence, on the corner of ‪70th Street‬ and Park Ave, is truly a trophy property and also simply the most delightful abode. Furthermore, having once comprised the upper floor of an extraordinary home, the acquisition of this listing affords a unique opportunity for a buyer looking to reassemble the celebrated Strauss Duplex. 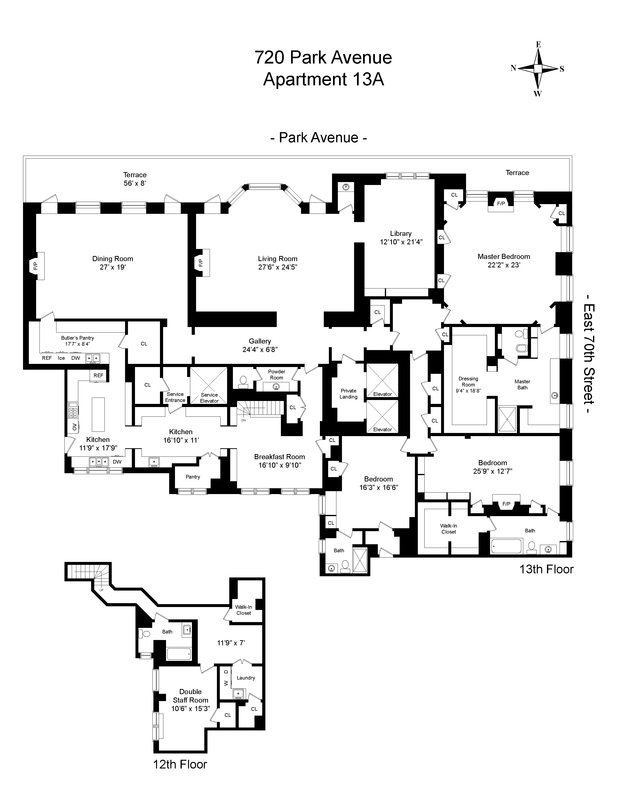 As it is now possible to acquire the lower floor as well, and to restore the baronial scale and layout of one of Park Avenue’s most historically important prewar coop residences. Extremely rare and glamourous 12 room apartment perched high atop a most distinguished white-glove prewar cooperative. 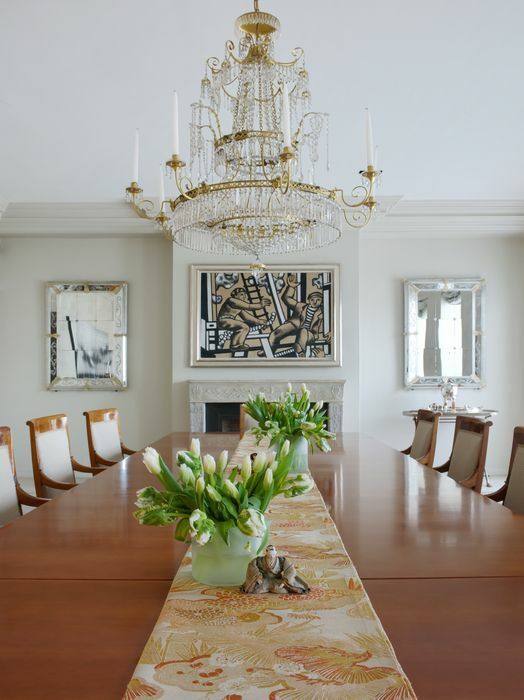 Impeccably appointed by the renowned design team of Aman Meeks, the residence was extensively featured in the firm’s recent coffee table tome, The New Formal. 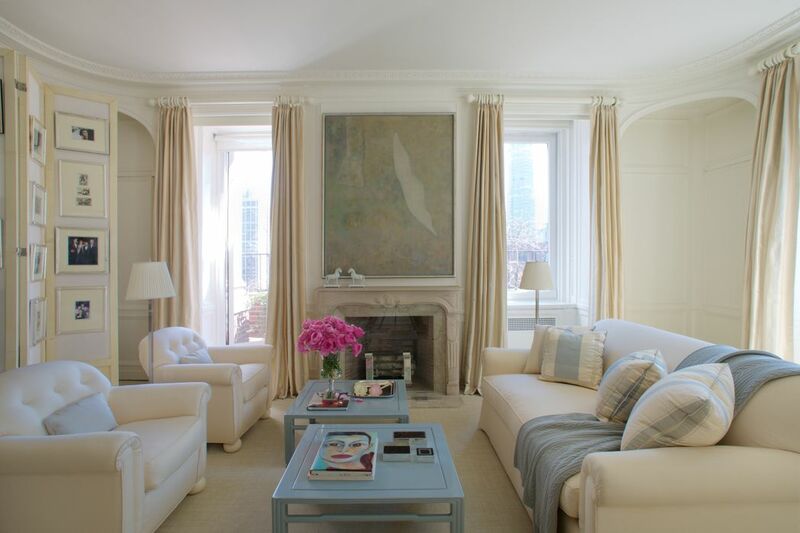 Distinguished by a 95 foot long planted terrace that charmingly meanders along the entire eastern flank of the apartment, the stunning aerie is most fortunate to have four rooms overlooking Park Avenue and to feature pretty, sunny and open views throughout. 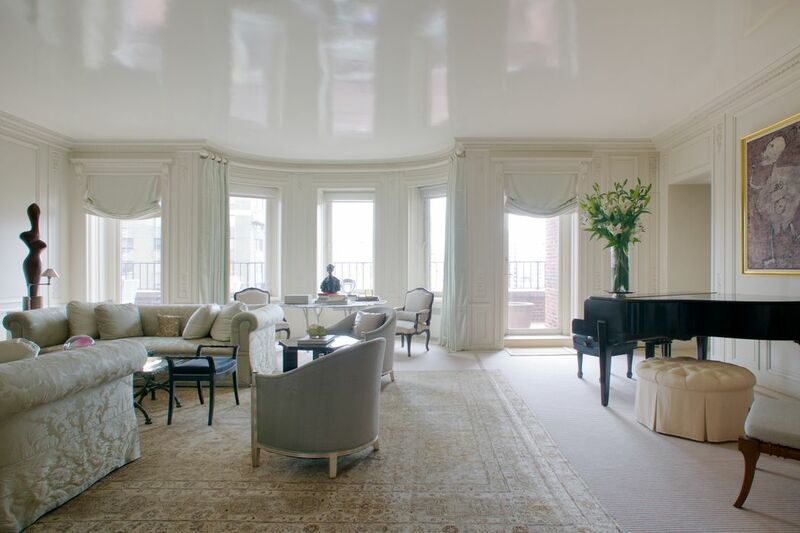 Boasting divine entertaining spaces that exude elegance and restrained grandeur, this exceptional apartment is a one of a kind, having been built to the exacting specifications of philanthropist, bibliophile, and Macy’s heir, Jesse Isidor Strauss. In particular, the fabulous corner Master Bedroom Suite with its massive marble bathroom and huge dressing room is the best of its kind, while the large and pristine Chef’s Kitchen, Pantry and Breakfast Room also conveniently allow for gracious and informal dining. Other notable features include a Living Room with the most lovely bay window, a grand Dining Room, a cozy Library and two perfect guest bedrooms with en-suite baths. There are also four wood burning fireplaces, French doors throughout, abundant southern exposures and lots of original moldings. Plus stunning examples of valuable and exceedingly beautiful period boiserie and accompanying marble fireplace surrounds. 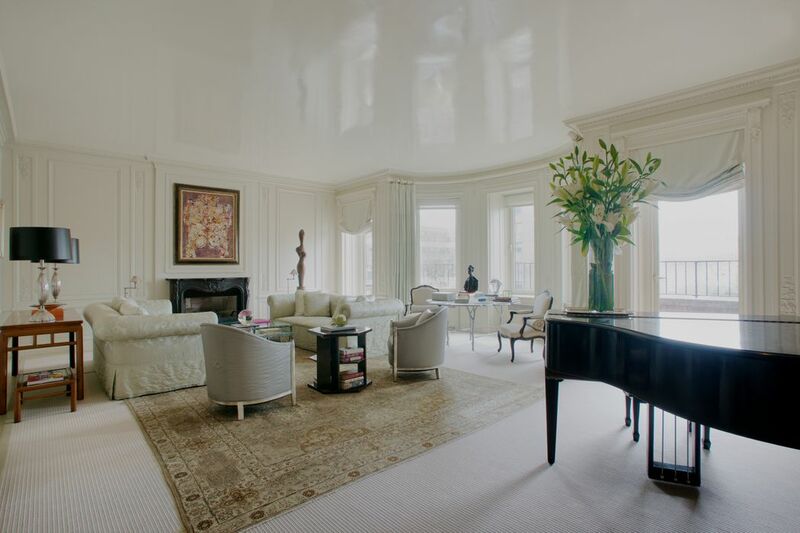 Designed by the great Rosario Candela in the golden era of apartment house building, this sophisticated and chic residence, on the corner of 70th Street and Park Ave, is truly a trophy property and also simply the most delightful abode. Furthermore, having once comprised the upper floor of an extraordinary home, the acquisition of this listing affords a unique opportunity for a buyer looking to reassemble the celebrated Strauss Duplex.